Our services are designed to take away your worry! We provide service that is tailored around the needs of our clients. 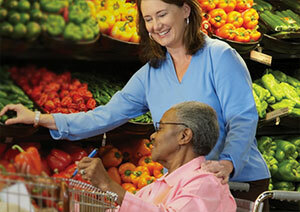 Care Companions of Ohio is fully insured. Our plan is to provide service that is tailored around the needs of our clients & provide your loved one a life long friend. We are a Passport Provider. We also accept Private Pay, and most Insurances. Offering affordable rates for all budgets. Please call for pricing. At Care Companions of Ohio we realize that you may not need service for your loved one on an ongoing basis. There may be times when you need us to provide care once a month when you go shopping or once a year for a two week period of vacation. Whatever the need Care Companions of Ohio are here to help! Call today to ask about Respite Care Services.